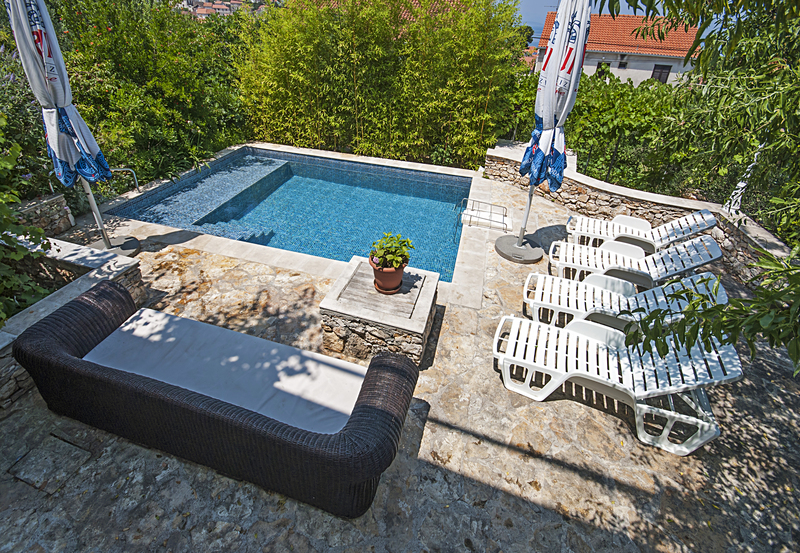 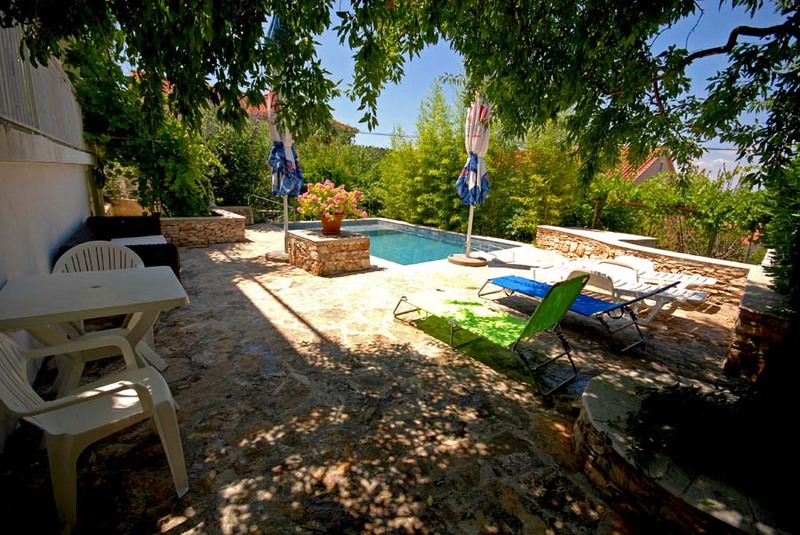 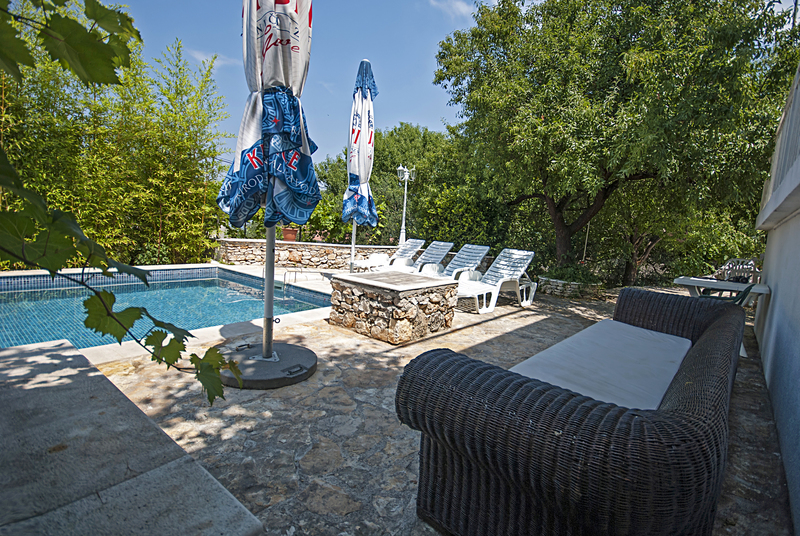 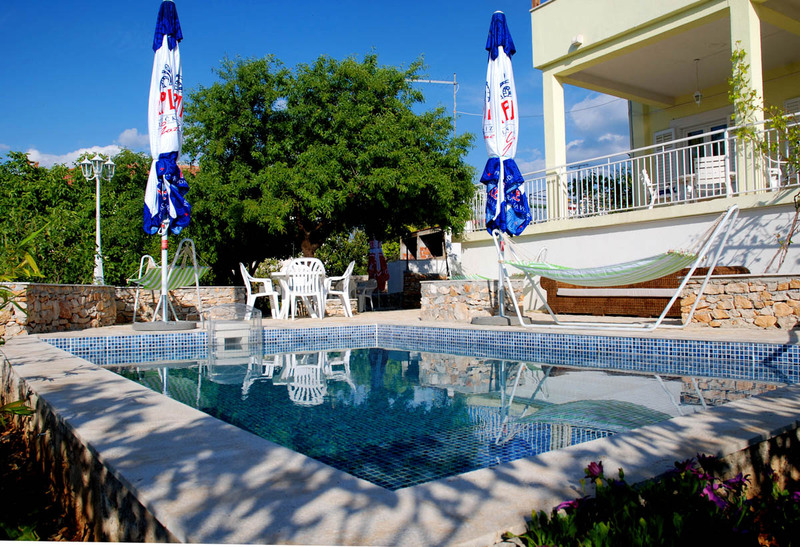 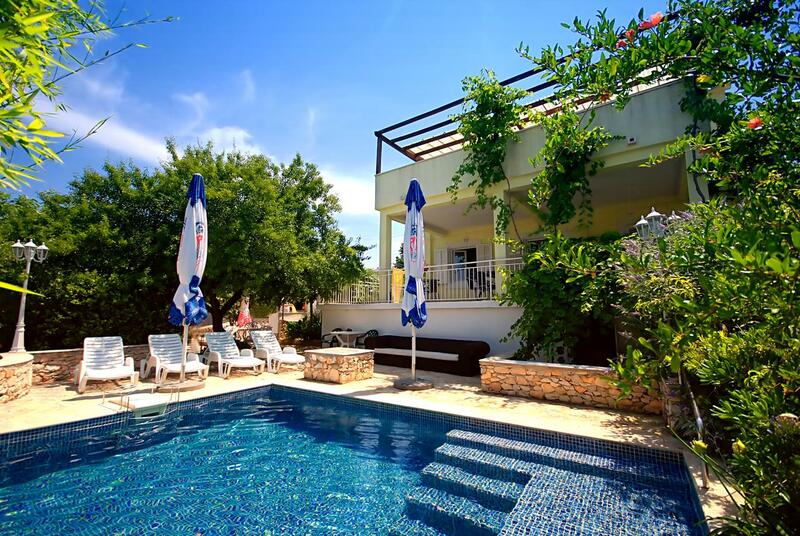 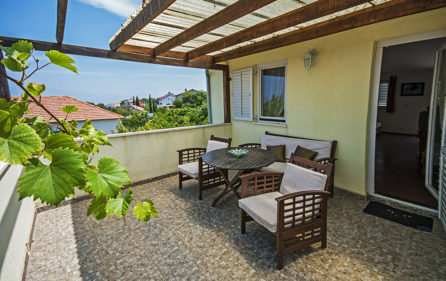 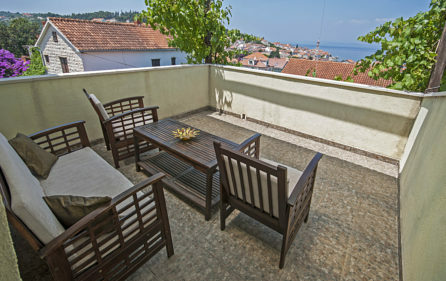 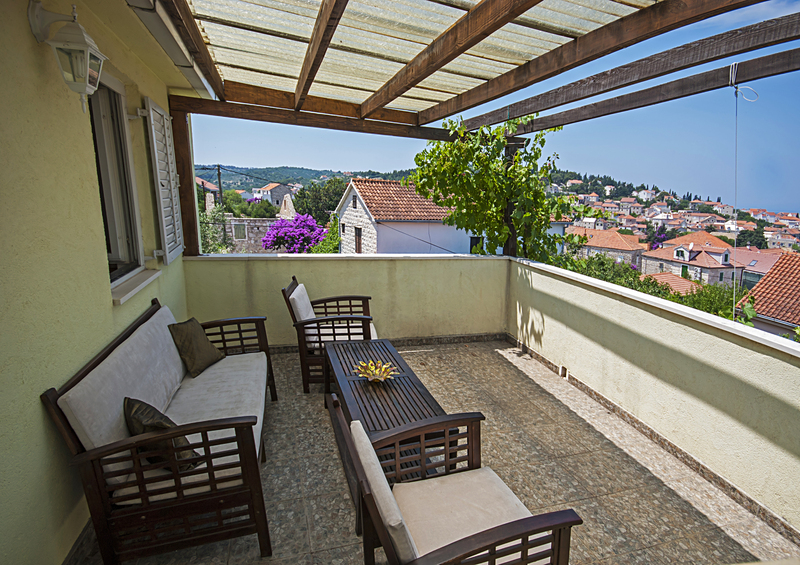 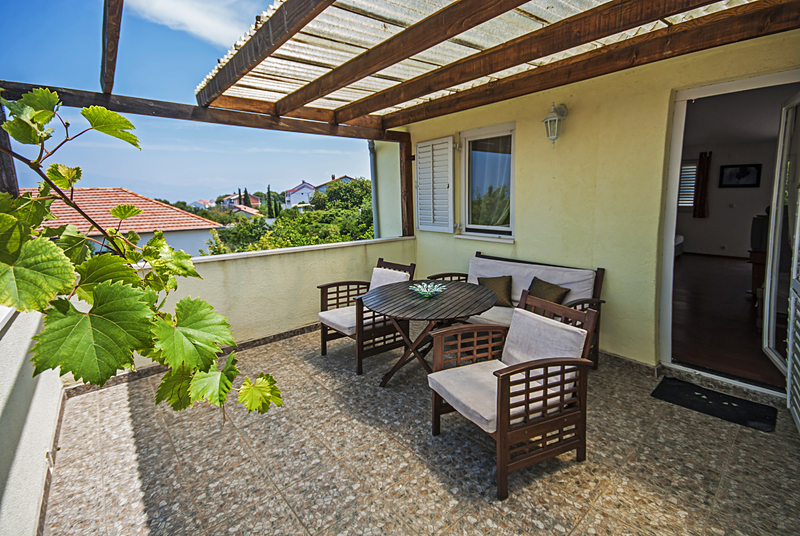 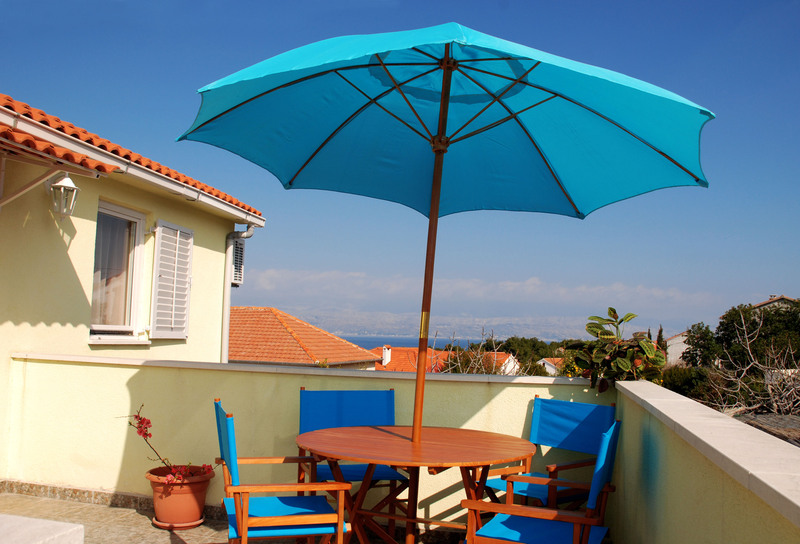 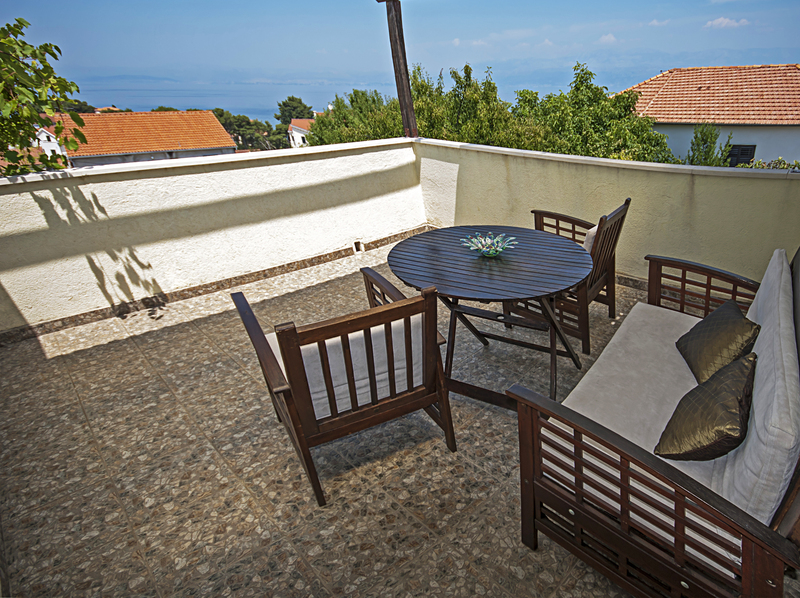 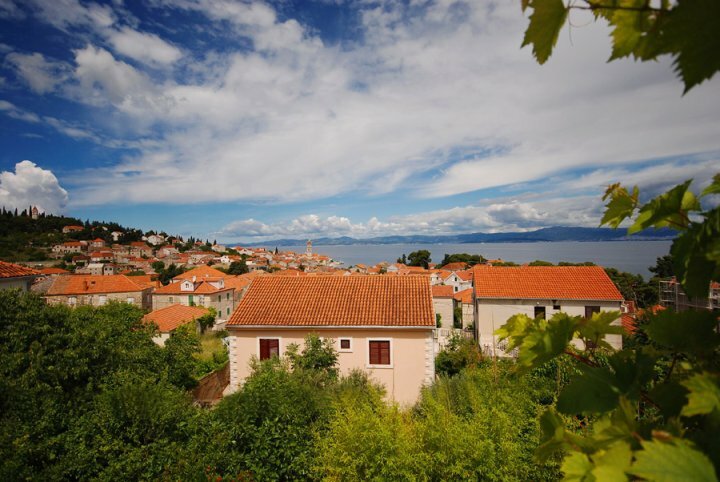 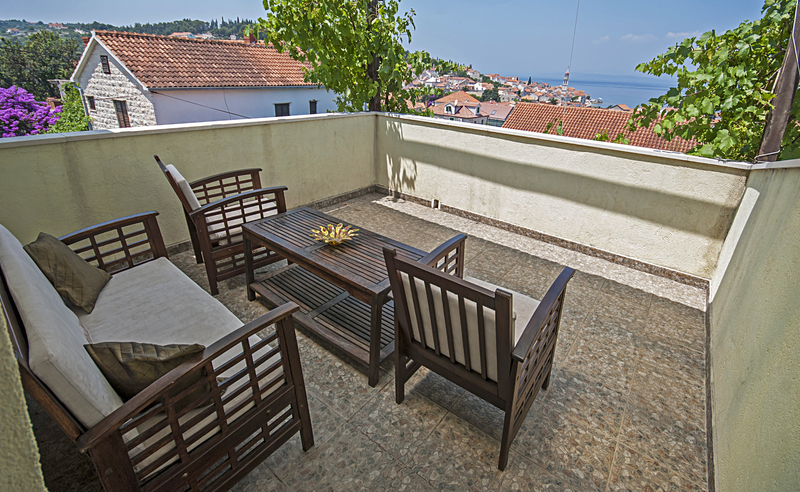 This beautiful holiday house is located in Sutivan, on the island of Brac. 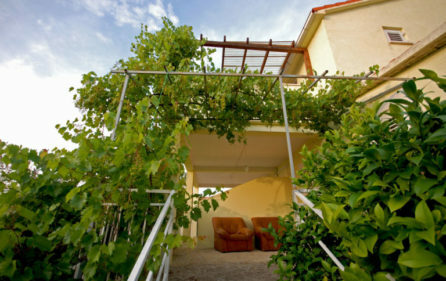 It is situated in a quiet and peaceful place, surrounded by plants, vegetable garden, and orchard. 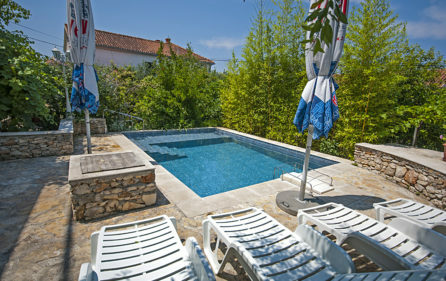 This is the perfect choice for those who want to spend idyllic holidays, away from everyday stress, noise, and hustle. 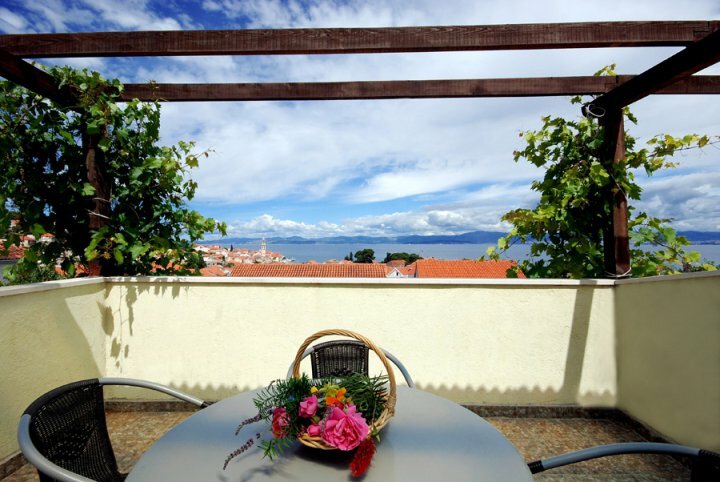 The Mediterranean atmosphere with its beautiful beaches and long seaside promenade gives a special touch. 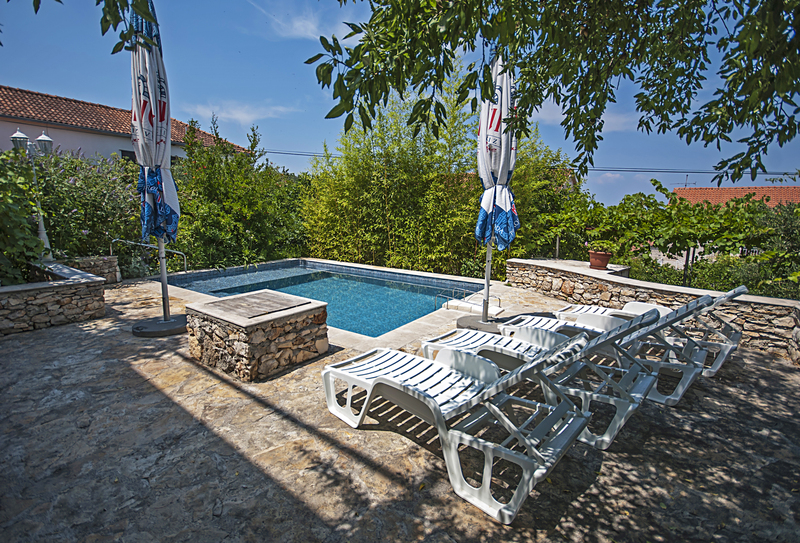 Sutivan, as well as the whole Island Brac, offers you various possibilities, whether you want to spend quiet and calm holidays away from the crowd, relaxing in hidden bays and coves, or you want to spend more active holidays, experiencing nightlife or recreational sports. 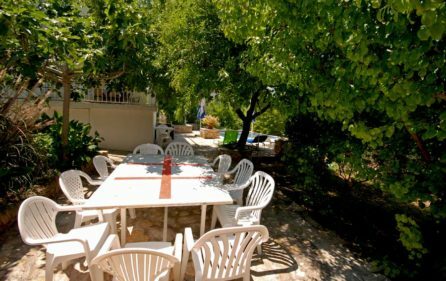 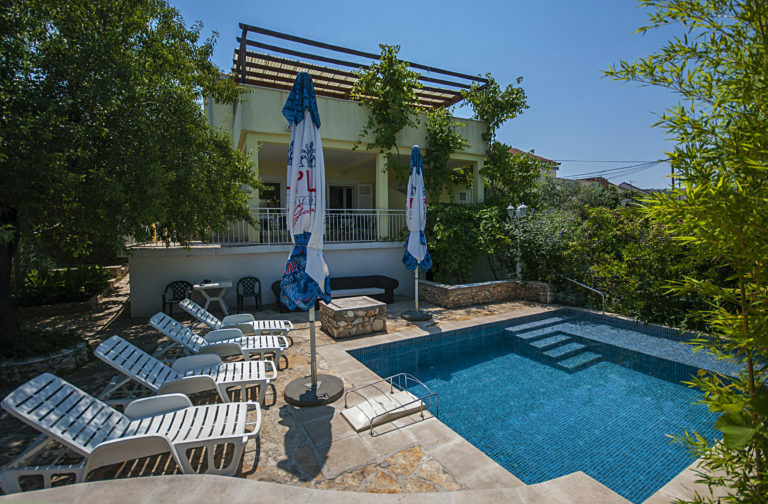 The villa is located in a very safe and quiet neighborhood, shielded from the street and the neighbors and makes a great choice for families with children, relaxing family holidays, couples, or groups of friends who want to enjoy their privacy and peace and recover their bodies and souls. 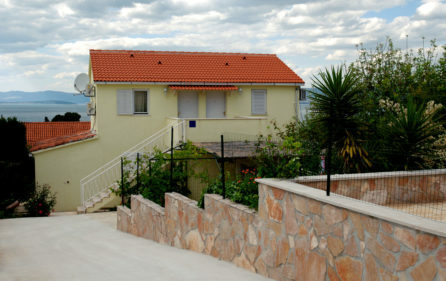 The nearest beach is 300 meters from the house. 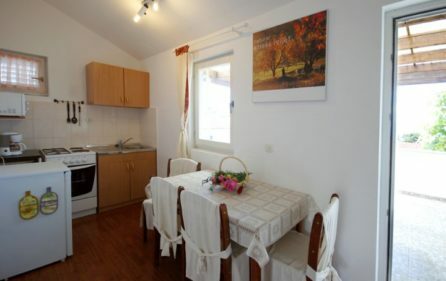 The closest supermarket, market, restaurant and coffee bar are only 200 meters away. 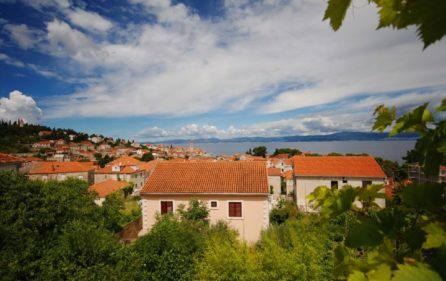 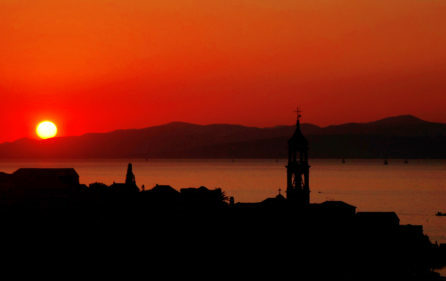 The main town on the island, Supetar, is approximatly 7 kilometers away from this place, and it has a great connection with the mainland. 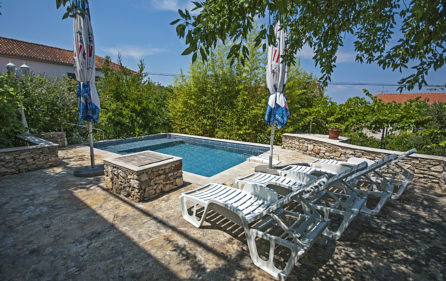 This charming, sea view villa offers accommodation for 11 people (and 2-3 children from 0-4 years old). 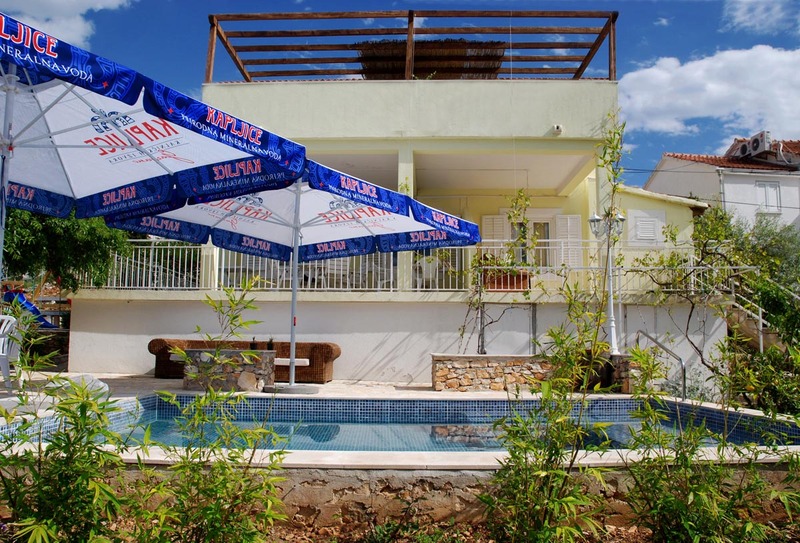 It consists of 5 bedrooms, 2 bathrooms, living area, dining area, kitchen and terraces. 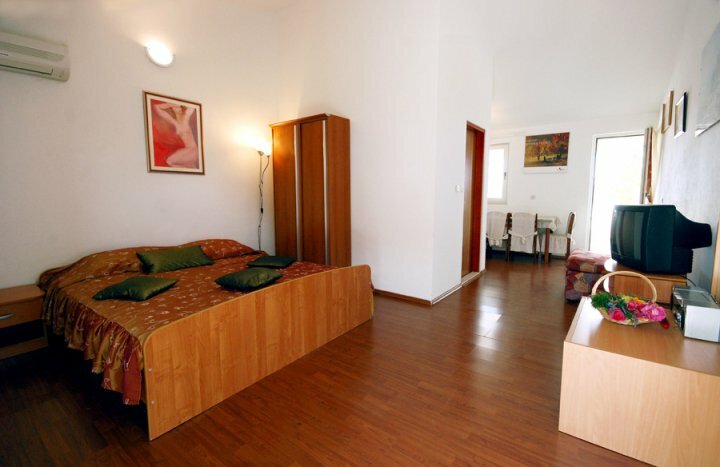 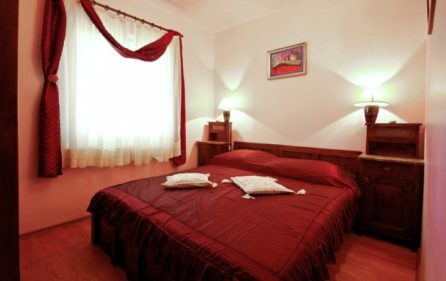 Four bedrooms have comfortable, cozy, double beds, and one of the rooms has two single beds. 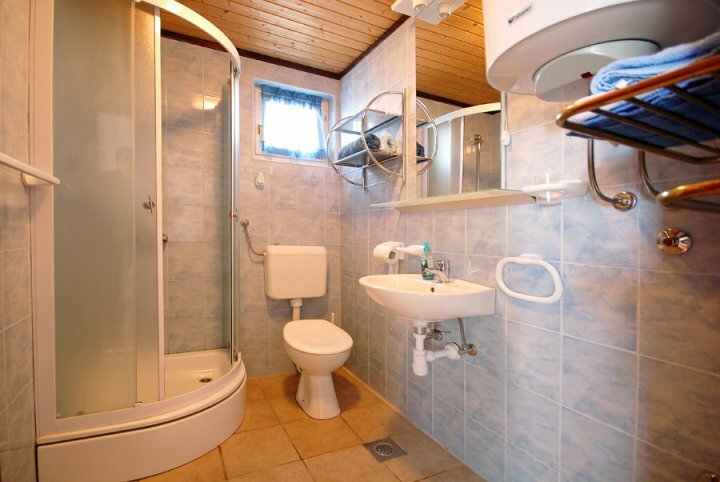 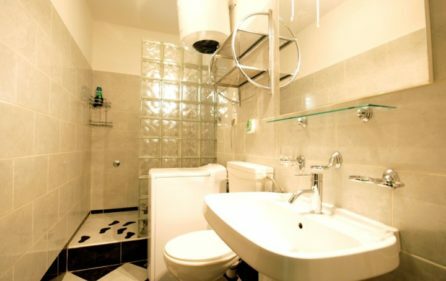 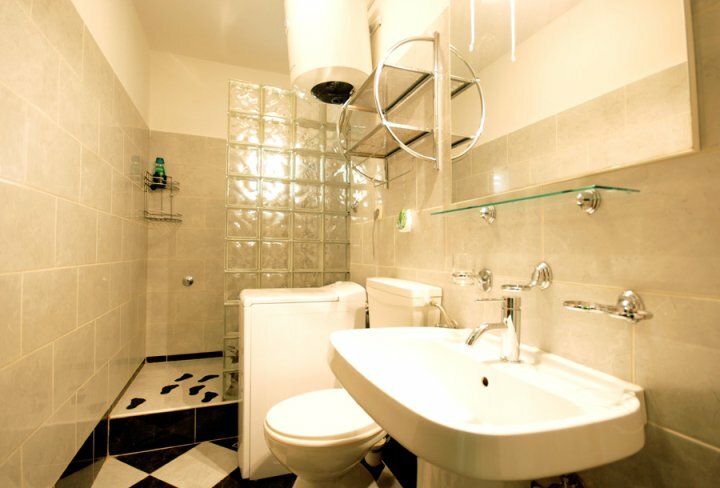 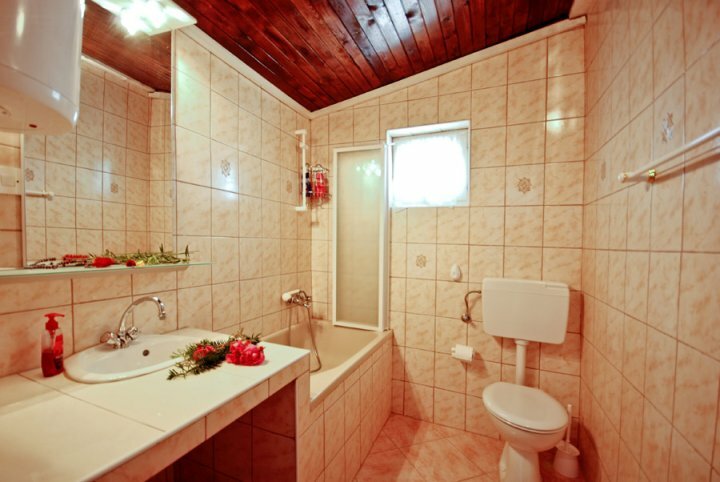 The bathrooms feature free cosmetic access, hairdryer and bath or shower. 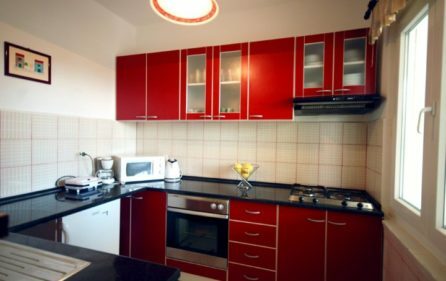 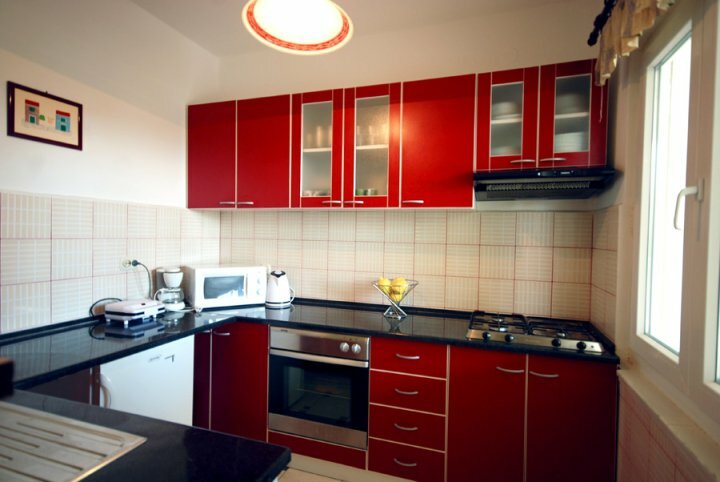 The kitchen is fully equipped with all the necessary appliances, stove, oven, water kettle, dishwasher, microwave, refrigerator, etc. 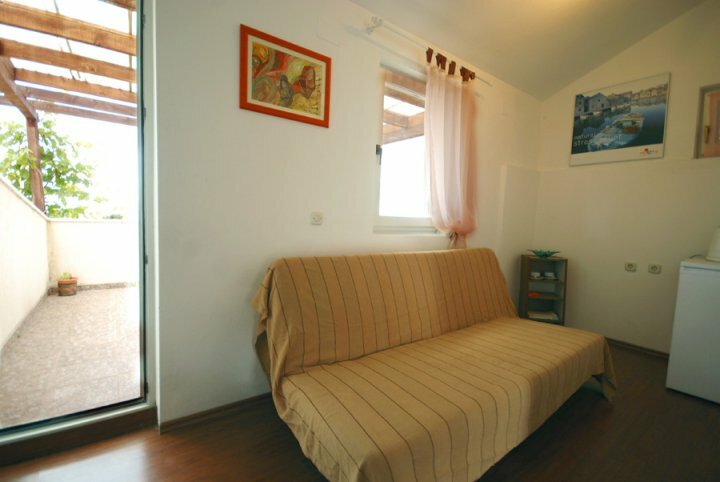 The living room has a satellite TV, DVD and seating area. 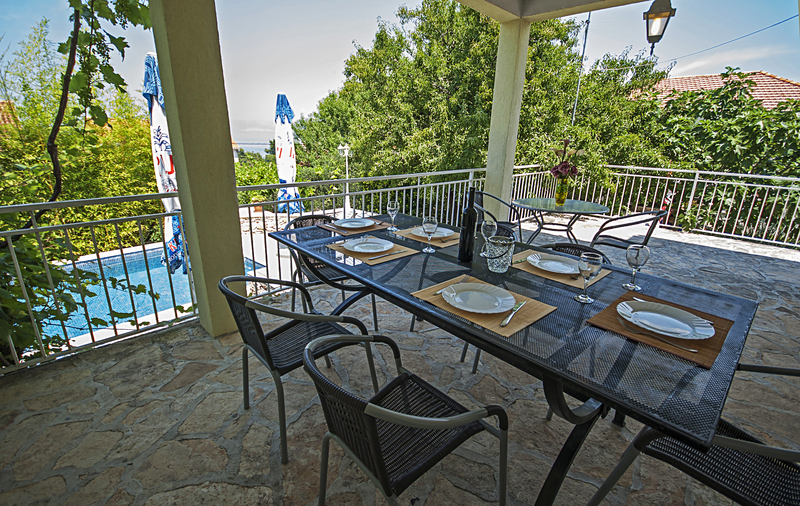 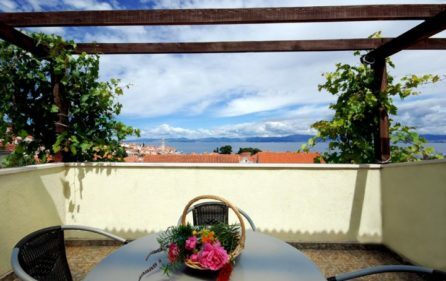 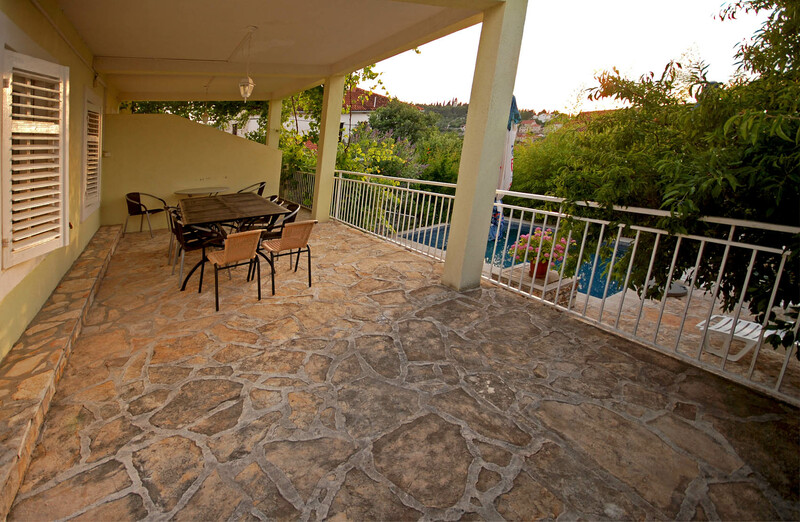 The house has 5 terraces and offers an amazing, panoramic sea view. 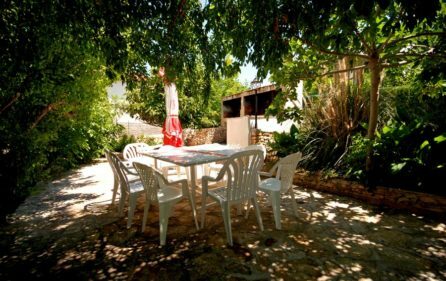 On the outdoor, there is a beautiful garden with seasonal fruits and vegetables, organic production, without pesticides and fertilizers. 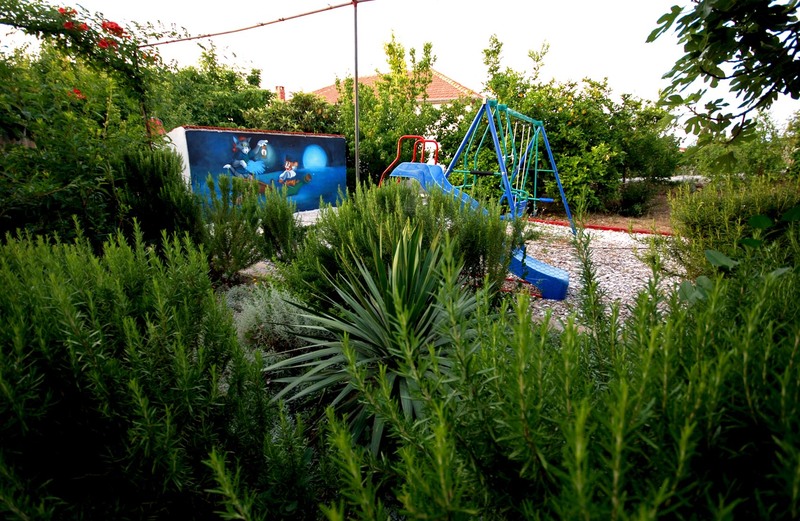 There is a children’s playground with a slide, swing and trampoline, BBQ area, garden furniture and an outdoor, angular, swimming pool. 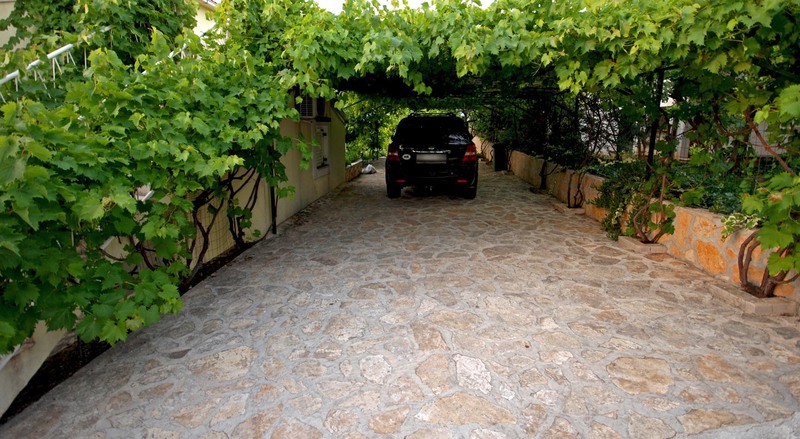 Free, secure, covered parking for 4 cars is available for the guests. 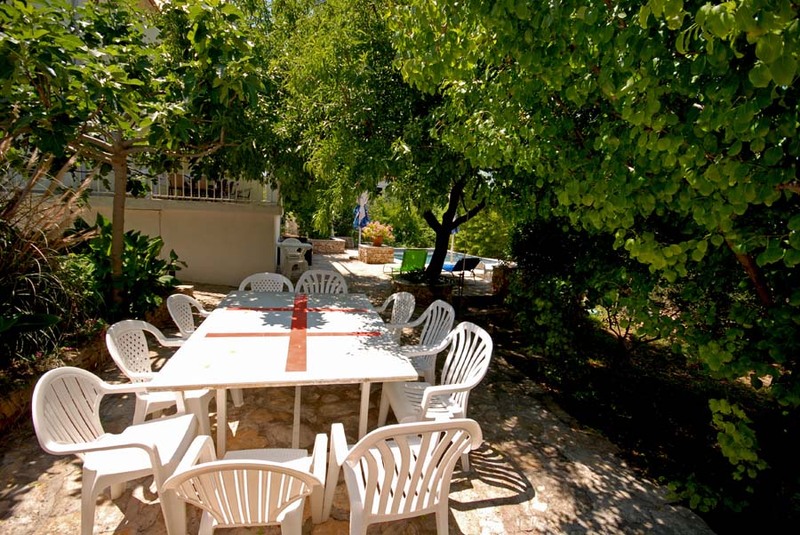 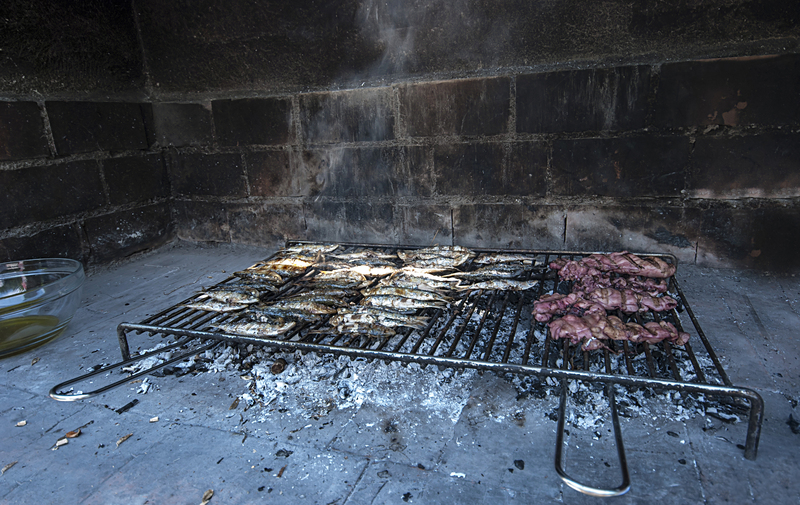 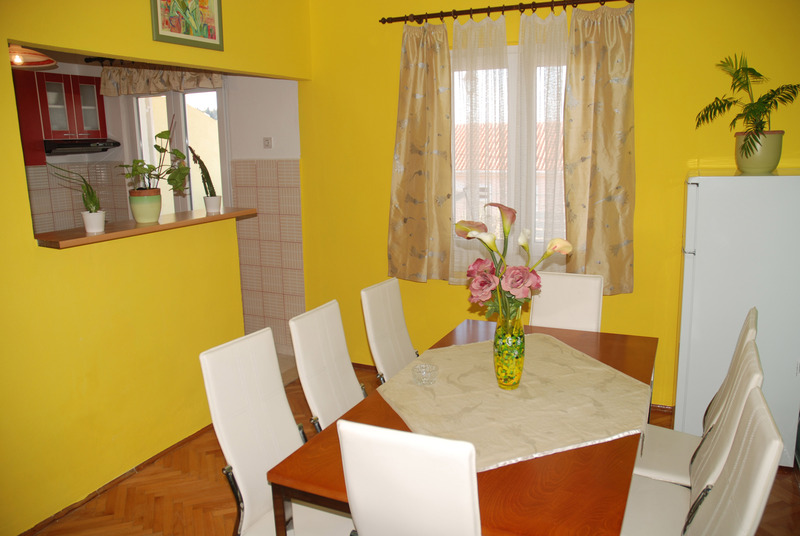 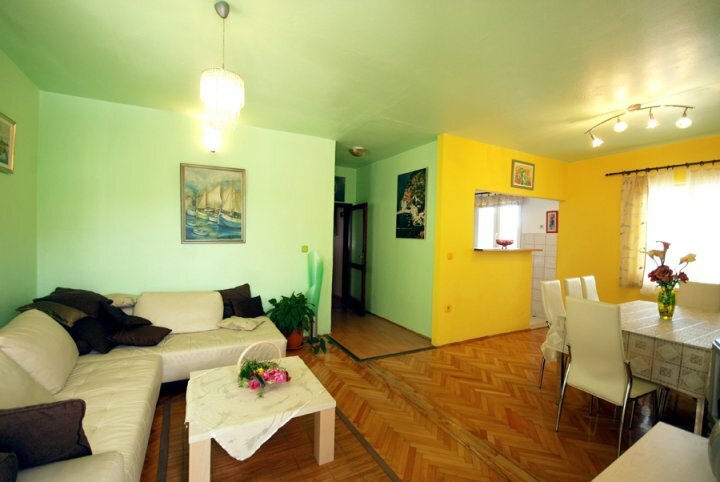 The whole house is air-conditioned and offers free Wi-Fi. 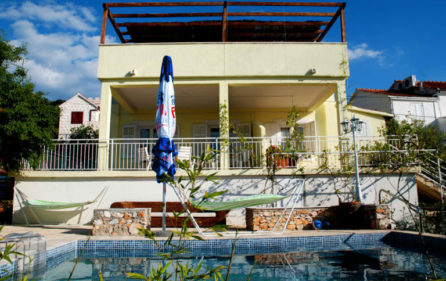 Minimum stay in July & August is 5 days. 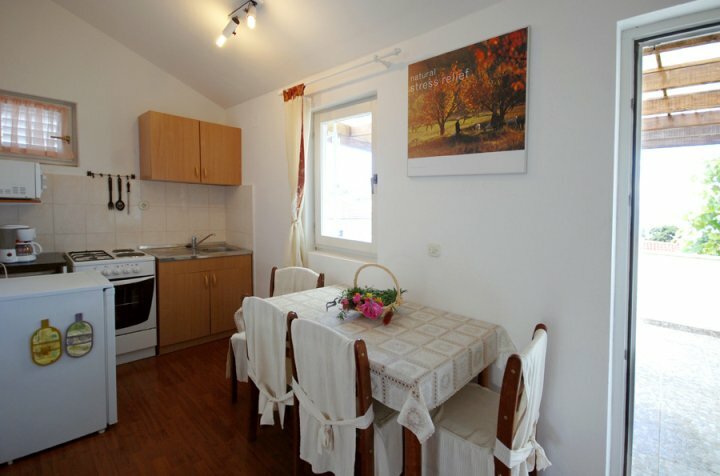 Minimum stay in the rest of the season is 4 days. 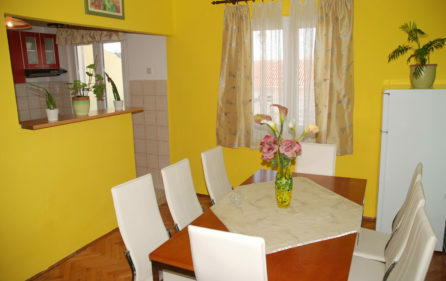 Damage deposit is 400 EUR. It is required upon arrival and fully given back on the departure day if no damage has been done to the property. 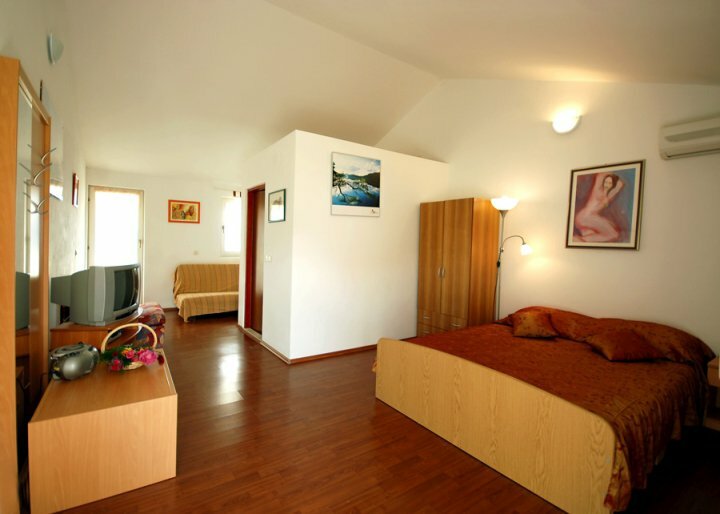 Pets are allowed with an additional charge of 5 EUR per day. 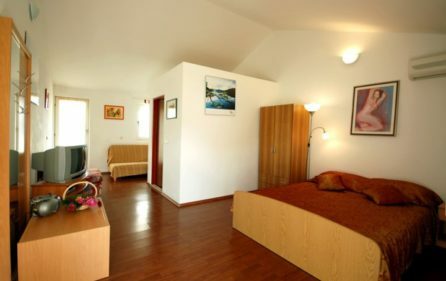 Each group gets a surprise gift! 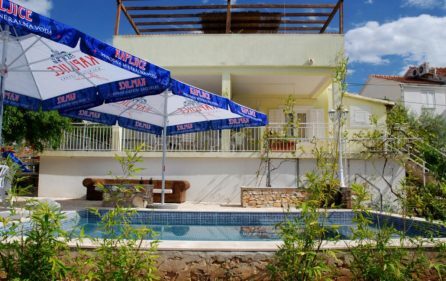 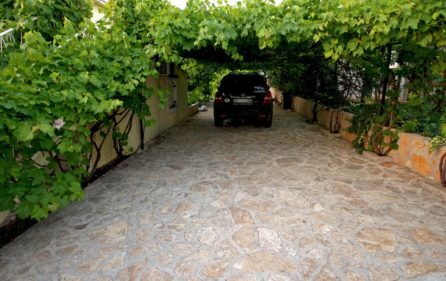 SOLD:Unique opportunity: Villas for sale in Sutivan!